We are so happy we chose Sash to be our wedding photographer. We really wanted a talented wedding photographer to capure natural action shots during the day as Damian and I both aren’t overly theatrical and don’t like completely staged shots. Sash completely understood this and captured it perfectly, completely exceeding our expectations. He was so polite and friendly and we loved that he made the whole photography experience fun whilst taking AMAZING shots. We are absolutely thrilled with our wedding photos. Sash beautifully captured all the emotions of the day, the beauty of the landscape where we had the our location shots and all the little details that made it personal to us. Every time we look through the photos (and that has been a lot – they are awesome!) we spot something new and they really tell the story of the day in the best possible way. Sash provided an excellent service from start to finish and on the wedding day, our bridal party and family commented how great he was. 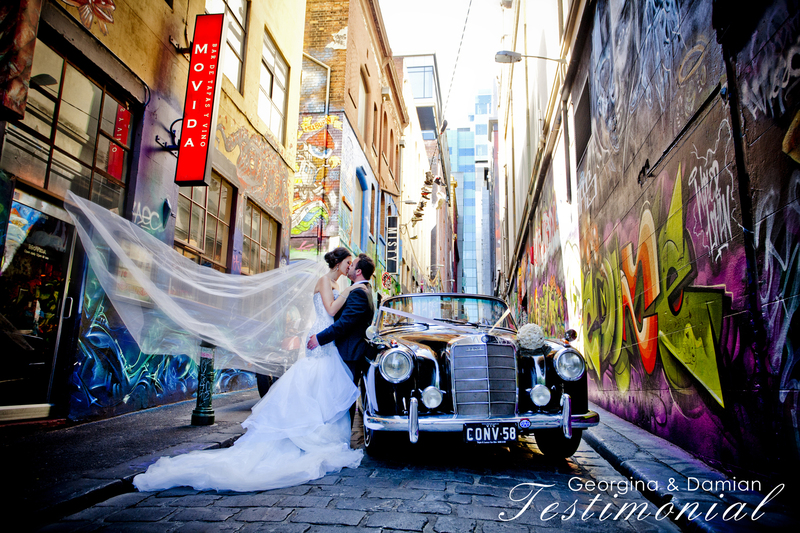 We would not hesitate to recommend him to anyone looking for an incredibly talented wedding photographer.